We are in the midst of Lent – a sacred time of intensive spiritual preparation for solemn celebration of the holiest Season on the Christian Liturgical Calendar which is the Passion, Death and the Resurrection’ of our Lord Jesus Christ. 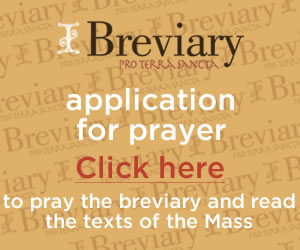 During Lent we are invited by the Scriptures – the Word of God – to deepen our prayer, exercise greater vigilance and discipline over sin in our everyday life; to do penance through fasting that is pleasing and acceptable to the Lord and by depriving ourselves the desires of the flesh, ambitions and pleasures that are at odds with true joy and all the fruits of the Holy Spirit. Christian charity requires us to love the Lord our God with all our heart, mind, body and soul and to love our neighbour as ourselves. Congratulations and heartfelt gratitude for the 50th anniversary of the Bishops Lenten Appeal. This collection has, over the past fifty years, served as a concrete expression of the love of God and neighbour in South Africa, Botswana, Namibia, Lesotho and Swaziland. It has strengthened the bonds of solidarity with the poor and our needy brothers and sisters. As we mark this momentous occasion of the golden jubilee of the Bishops Lenten Appeal, I encourage you to give generously according to the best of your ability. Your donations can empower, develop and transform the lives of millions of the People of God irrespective of their age, language, status, colour or creed because after all we are created in the image and likeness of God. Before Him we are all equal and precious in his eyes. I also encourage all of us to read slowly and prayerfully the Lenten message of our Holy Father, Pope Francis. He kindly reminds us that, “Lent is the favourable season for renewing our encounter with Christ, living in his word, in the sacraments and in our neighbour” (Lenten Message of Pope Francis, 2017) Lent is not an end in itself. Its goal is a vital encounter with God the Father, in the Son, through the Holy Spirit. In the powerful words of Megan McKenna, Lent “is the work of bridging the gap between rich and poor, between those who control access to services and life and those who wait for what is leftover, discarded or rejected. This is the work of confronting unholy differences created by sin, both personal and structural. This is the naming and acknowledgment of wrong, of evil beginning with the seven deadly sins on an individual level – pride, anger, covetousness, lust, sloth, envy, and gluttony – and the structural and collective sins named by Gandhi as equally deadly: politics without principle, wealth without work, pleasure without conscience, knowledge without character, commerce without morality, worship without sacrifice, science and technology without humanity” (p. 11 of Lent: reflections and stories). Let us conclude by listening to St Teresa of Avila: “Prayer is not just spending time with the Lord. It is partly that – but if it ends there, it is fruitless. No, prayer is dynamic. Authentic prayer changes us – unmasks us, strips us, indicates where growth is needed. Authentic prayer never leads to complacency, but needles us, makes us uneasy at times. It leads us to true knowledge and true humility” (p. 46 of Lent: reflections and stories). Have a most blessed, fulfilling, enriching, fruitful and life-changing experience of Lent that will lead you to personal encounter with the Risen Christ! What you are is God's Gift! On the 2nd of February this year (2017) I realised that it was the 3rd anniversary of my appointrnent as Bishop of Port Elizabeth. I would like to express my sincere gratitude to God for his abundant goodness to me, to all our dedicated priests, zealous missionaries, committed religious and to all the faithful who are busy evangelising all the strata of society in the Eastern Cape through Christian prayer, liturgical celebration, ordinary work (labour), different professions and creative arts. On the 26th of February 2017, the 8th Sunday ot Ordinary time Year A, just before we begin Lent, it is most appropriate that we celebrate Stewardship Sunday. God once asked Cain will one day be directed to each one of us: “Where is your brother/sister?” (Gen 4:9). Cain’s response was: “Am I my brother’s keeper”? It was as good as saying “Do I care”? Racial prejudice still prevents many of us to "rediscover" and see the image of God in tie faces of our brothers and sisters. I thank all the Catholic faith-based organisations, movements, all sodalities and the faithful who are involved in the spiritual and corporal works of mercy. Pope Francis tells us that, “Jesus keeps knocking on our door in the faces of our brothers and sisters, in the faces of our neighbours, in the faces of those at our side” (Comboni Missionaries Calendar; May). When he closed the Door of Mercy to mark the conclusion of the Jubilee Year, he assured all of us that the Door of God’s Mercy remains always wide open for everyone. My brothers and sisters, before we begin Lent I invite all of you to take a moment of silence, reflect and in gratitude recall the Jubilee Year of Mercy and ask yourself: What did I do to celebrate the Jubilee Year? In which way have I personally experienced God’s Mercy?’ How have I shown and shared God’s Mercy in my family, church, work place and neighbourhood? What spiritual gifts, graces, blessings or fruits have I received in the course of the Jubilee Year? Finally, in the depth of your heart, that inner sanctuary where you can be alone with God, say the prayer of thanksgiving. The Catholic Church, in particular our Diocese, has historically relied heavily on funding from overseas to refurbish our Retreat Centres, to build our beautiful churches, our Catholic Schools, church halls, health centers and other facilities. Christ’s mandate to the Church to “go, make disciples of all nations, to teach and to baptise those who believe, in the name of the Father and of the Son and Of the Holy Spirit” (Mt 28:19) was fulfilled through the resources and the generosity of our ‘Mother-Churches’ from mainly North America, Canada and Europe. It must be said that in all honesty the overseas funding has diminished drastically. We need to explore, discover, develop and drink from our own wells. We are called more than ever to become a self-sustaining Church in terms of personnel — we need home-grown vocations to the priesthood and religious life, well-trained lay leaders, educators, catechists etc. We also need resources that are generated from within our Diocese here in the Eastern Cape, The mandate of Christ for which our Church was founded and continues to exist has been renewed by our Holy Father, Pope Francis in his Apostolic Exhortation, “The Joy of the Gospel”. On behalf of our Bishops Conference, in my personal capacity and on behalf of all our Clergy and Religious Brothers and Sisters I express sincere and heartfelt gratitude to all of you for your generous contributions in the past years, especially 2016. You have given of yourselves, your precious time, energy, talents, skills. and like the magi opened your treasures to God. The majority of you find themselves in a similar position to the ‘poor widow’ of St Luke who became Jesus model and hero because you have given out of your poverty (Lk 21:24). I thank you for your sacrifices. I am sure that the God of providence will reward you a hundred fold. I would like to conclude with words of faith and wisdom from Pope Francis: “Once we come to realise how much God has given us, a life of self-sacrifice, of working for Him and for others, becomes a privileged way of responding to His great love” (Comboni Missionaries Calendar; July).